The July 2017 issue is now available in print and eBook formats. Individual articles are also available in eBook format. Human Tissue Authority New Draft Code: Supporting Child Donors or Supporting Parents? 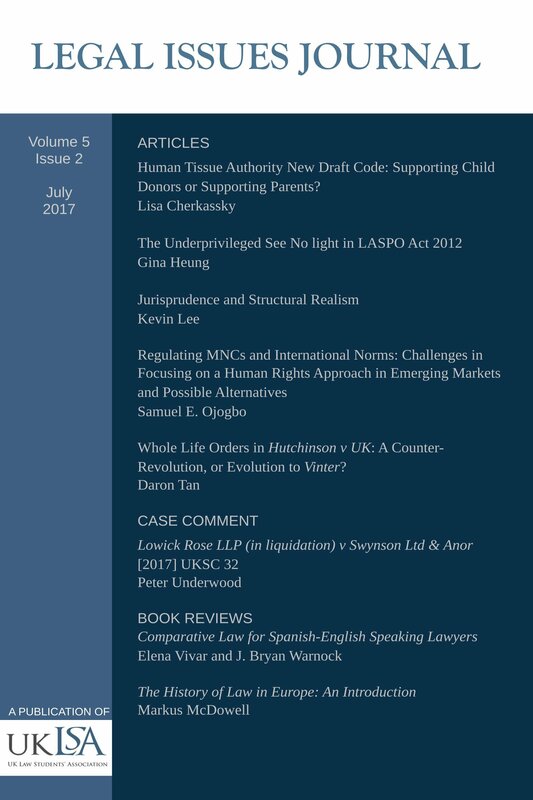 Whole Life Orders in Hutchinson v UK: A Counter-Revolution, or Evolution to Vinter?